I am smiling so happily! I love to see you using the fabric I sent you! That pleases me to no end! Oh, what sweet darling delightful gifts! You are too kind! I am tearing up over what a lovely person you are and now itching to make beautiful things for friends too! Your thoughtfulness has made my day! Thank you far-away friend. The gifts you made for your friend are lovely! I bet mother and daughter will be soo happy and thrilled. 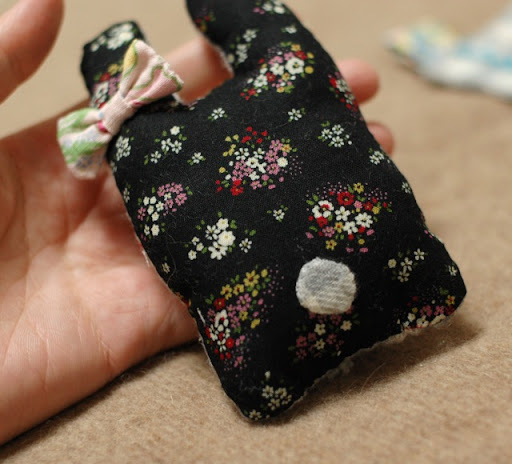 You inspire me to make little gifts for friends too! I really do adore your lovely creations and the thoughtfulness you put in each and every item you made! Can i be your friend too? hehe Have a lovely merry happy day and lots of love to you and yours! I was afraid that if you noticed this article and the small piece! I love too see your children's face! Thank you very much! Of course you are my new friend! I am a Japanese who live in the USA. 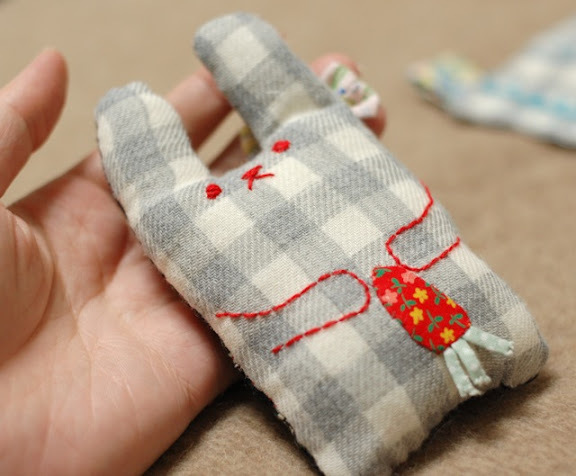 Your embroidery is exquisite and I love the simple lines of the bunny plush. I have just recently discovered your blog and I am gradually reading your past posts. 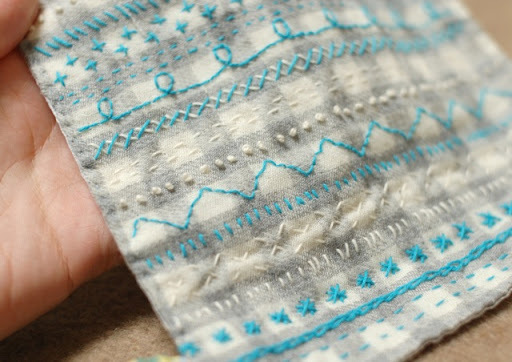 I greatly admire the beauty of your hand stitching. Mai, your soo sweet! So happy to have found a new creative friend! 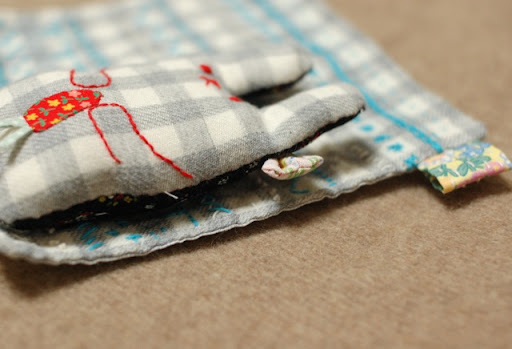 Oh i adore that Rabbit in a pocket pouch...such a cute one! Love to you! I like your Hiragana quilt! The font is beautiful! 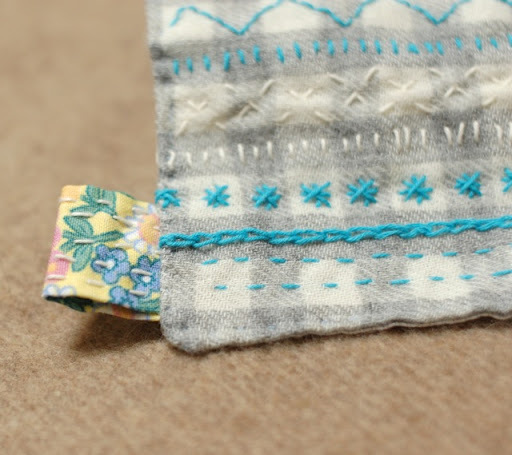 I like these Sashiko threads very much. Thank you! Thank you for your comment! I 'm not so good at embroidery, but it's really fun! Hi Jacqueline, Thank you again! I just stopped by your shop! You have been so busy and you were so sweet to mention me in your shop announcement! Thank you so much! You are so kind. Your work is so beautiful and peaceful! I love Japanese craft magazines & books, the illustrations are incredibly clear. Earlier this month I spent nearly 2 hours in the NYC Japanese bookstore....and bought many books. I think you & Emily (of Ravenhill) are great craft partners! They are just darling. Your blog (and your shop) are wonderful! I love your work! I like the idea of using cotton fabrics. It is something I have not explored so much. You are a big inspiration to me! Mai i like so so much your work, it's always a pleasure to see this old post. Thank you very much!